UNKNOWN gunmen on Sunday night stormed Kong community in Khana Local Government Area of Rivers State and killed two persons before they were beheaded. The gunmen had shot into the air intermittently, ostensibly to scare people away. 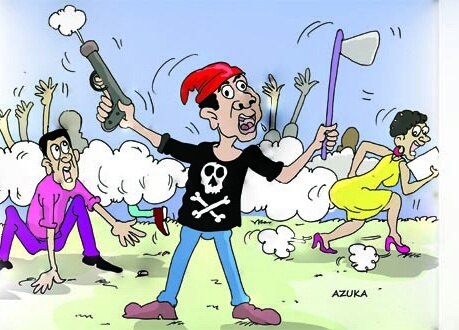 It was gathered that the assailants were cult members, who had gone after those perceived to be members of a rival cult group. The incident in the Ogoni community had caused confusion as some residents were said to have run into a nearby bush. Sources told our correspondent that the incident happened at about 11.30pm. It was also learnt that the cultists took the heads of their victims away to an unknown destination. The Caretaker Committee Chairman of Khana LGA, Mr. Baridam Suani, cautioned that his government would no longer tolerate the destruction of lives in the area. Speaking on the incident, the State Police Public Relations Officer, Mr. Nnamdi Omoni, said it was a clash between two rival cult groups. Omoni explained that the hoodlums stormed the community at about 11.30pm and engaged in a supremacy battle with a rival cult group, adding that two youths were killed during the clash. “The police is on top of the situation as investigation is ongoing. The corpses have been deposited in the mortuary. Efforts are ongoing to bring the culprits to book,” he added.